In yet another unmistakable indicator that we are moving decisively closer to ending the intensive confinement of farm animals, the nation's third largest egg producer this morning announced that moving forward, "cage-free egg production will become the company's standard." Rembrandt Foods, based in Spirit Lake, Iowa, has more than 10 million hens, and is a huge supplier of liquid eggs - a specialized sector of the egg industry that often confines birds in 48- to 54-square-inch spaces - roughly half the size of a standard size sheet of paper. The HSUS investigated this same company nearly a decade ago, along with the number two producer in the industry, Rose Acre Foods. We didn't find any out-of-the-norm abuses, but saw birds languishing in the overstuffed cages. This sort of extreme confinement represented about 95 percent of egg production in the US at the time, and we faced fierce resistance from the industry in our efforts to end it. The industry started shifting its thinking after California voters, in a landslide vote, said "no" to cage confinement in 2008. 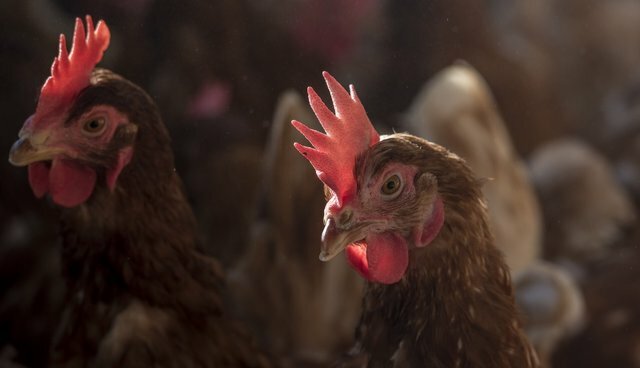 Since then, a steady stream of companies has moved forward with cage-free conversions, leading to last month's declaration by McDonald's that it would go cage-free throughout the US and Canada. McDonald's sells roughly four percent of all eggs in the US - about two billion eggs. But today's announcement from Rembrandt, and similar ones from Rose Acre and Arizona's largest producer, Hickman Farms, earlier this year, which indicate they too will go cage-free, are startling and remarkable. Indeed, if these large Midwestern and Western companies - which between them produce about 10 percent of all eggs in the nation - can make these commitments, so can others. "With a reasonable timeline, we can meet any demand, and we're eager to move our clients into the cage-free future." Rettig added. With this, a company like Rembrandt goes from a problem maker (severely confining millions of birds in cages) to a problem solver (supplying companies that want to do better by moving to eggs that come from cage-free hens). Smart producers, farmers, and business leaders like Rembrandt, Rose Acre, and others, are setting aside past disagreements and clashes and moving their industry forward to do better for animals and consumers - toward a cage-free future. It's the humane economy at work, and it's a sight to behold.